HPE has really turned a corner with NonStop X. Whereas infrastructure executives were previously showing some concern at what they perceived to be a non-standard platform, the launch of the NonStop X server, based entirely on the x86 processor, has given organisations the opportunity to revisit their long term strategic direction. Already we have seen a growing number of organisations re-commit to the NonStop server platform for the long term. This is spurred on by the fact that the x86 has such a strong branding that it resonates much more easily with virtually everyone in the IT profession. TCM too has started to engage with clients that are starting to make plans for their next migration. Of course, different clients are at various points within the investment cycle. The financial metrics of NonStop is such that every server estate has a predictable but finite lifespan before an upgrade makes a lot of commercial sense. The good news is that the NonStop X migrations are proving to be moving quite smoothly. This doesn’t mean of course that you can simply migrate over a weekend. Risk has to be mitigated in any system upgrade. Data has to migrated; new systems have to be proven; network infrastructure has to re-tested, users need to be trained; and it all has to be proven in a pre-production environment. TCM is pleased to be embracing the NonStop X technology and builds on its 20 years on experience in planning and managing migrations and operational environments for NonStop. 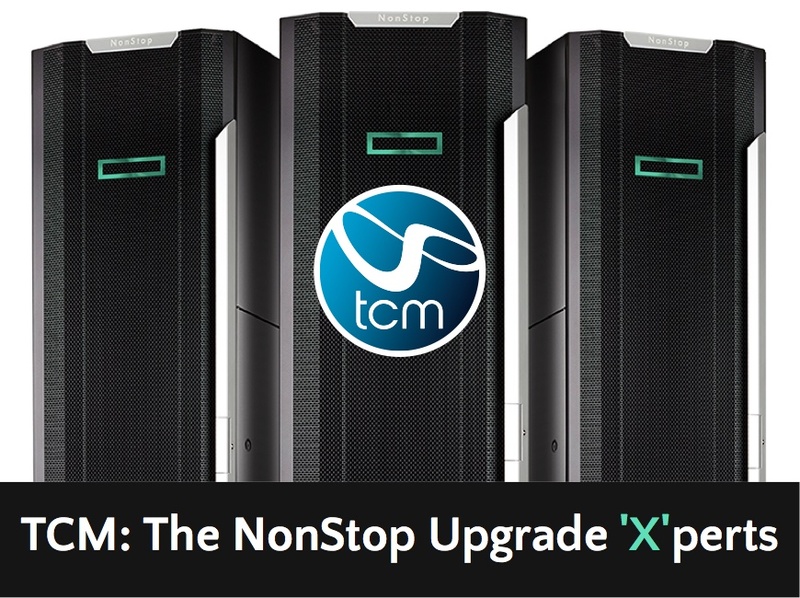 TCM now offers a complete turn-key X-upgrade solution, where the client simply pays a quarterly service cost – no high initial outlay for hardware or software, no cost variables, just a fixed quarterly charge that includes Hardware, Software and Systems management. If you’d like to learn more about what TCM can do to smooth the way for your business to NonStop X, please do get in touch with the NonStop ‘X’perts today. We’d be pleased to partner with you on your business evolution.